Notes: CMP. 50 Div Pro Coy. Enlisted in the Royal Warwickshire Regiment. 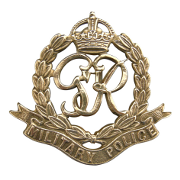 20/4/41 Transferred to CMP. 10/7/43 Killed in Action. He was born in Coventry and resided in Warwickshire. He died on the same day as L/Cpl Wescott of the same unit who is shown as died at sea. This date was the invasion of Sicily. War Diary 50 Div Pro Coy, WO 169/8788. 10/7/43 Lt Rodwell and party landed on wrong beach by Royal Navy. 1 Sgt, 3 Cpl's and 6 L/Cpl's wounded by shell fire, 1 L/Cpl died of wounds (Saul). John Saul.